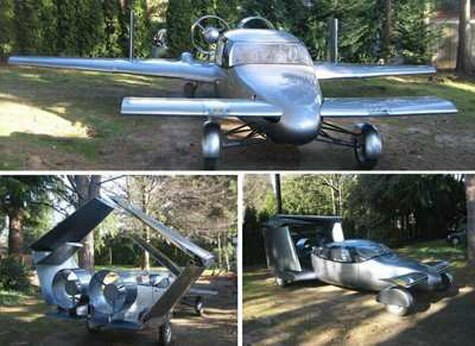 The Milner Motors AirCar will debut at the New York International Auto Show, March 21-30. The Milner Motors AirCar is a four-seat advanced-composite car that is designed so that you can fly to your destination but then fold up the wings and drive it down the highway. There is a foldable main wing in the rear of the vehicle and a lifting projection in the front.